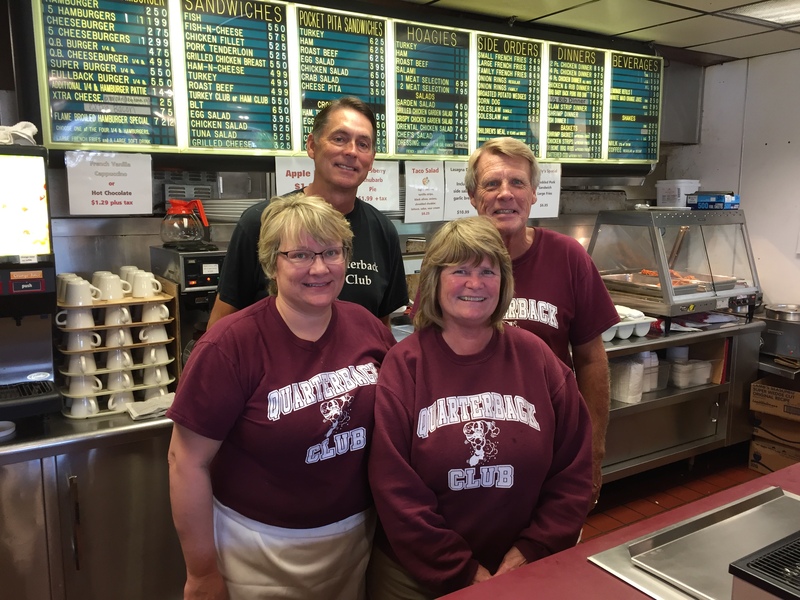 Quarterback Club celebrates a half-century! 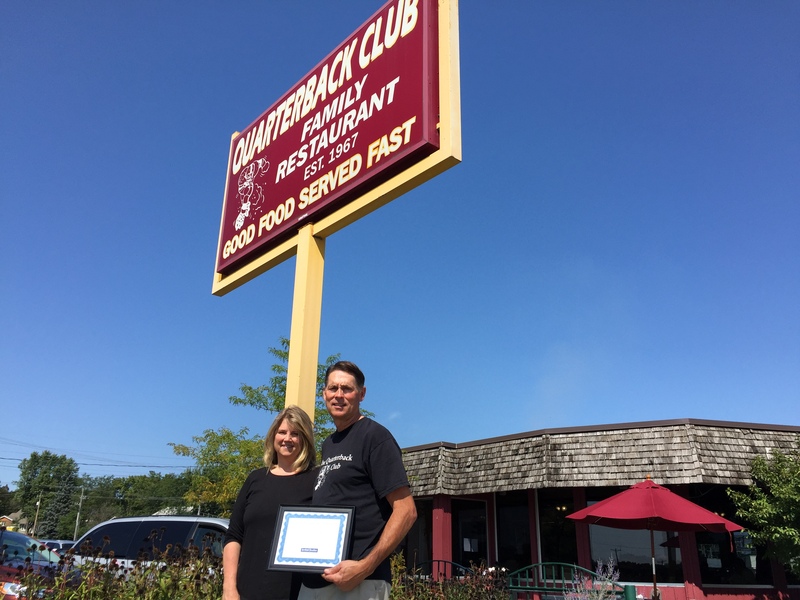 On Monday, September 10, members of the NDDC Board paid a visit to the Quarterback Club in Northfield to congratulate owner Dale Finger on the 50th anniversary year of the restaurant. We had a fine time listening to stories of the restaurant’s history and taking pictures for posterity. The Quarterback Club was originally part of a 20-store franchise organization that was founded by a group of Minnesota investors including some of the early Minnesota Vikings football players. The Northfield store was opened in the spring of 1968. 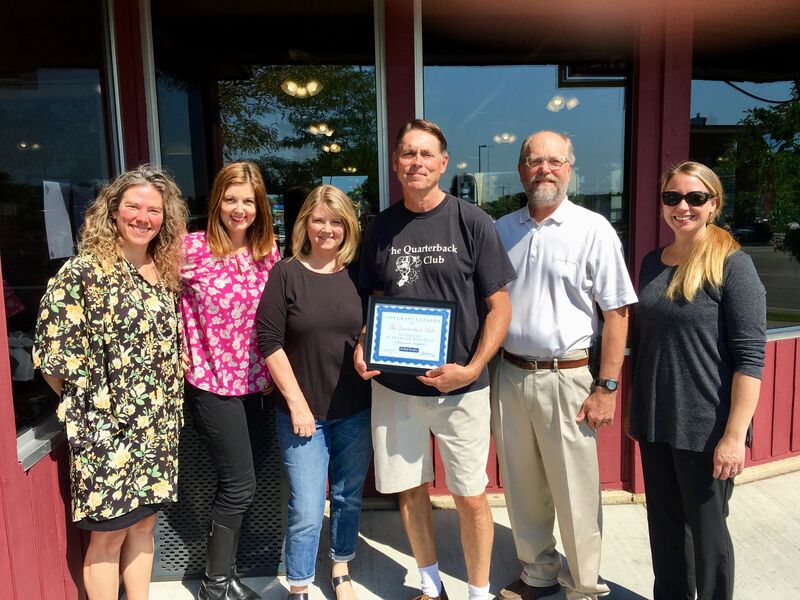 Dale started working there as a high school student ten years later and eventually bought the restaurant in the early 80s. He’s had a successful 40-year run with no end in sight. 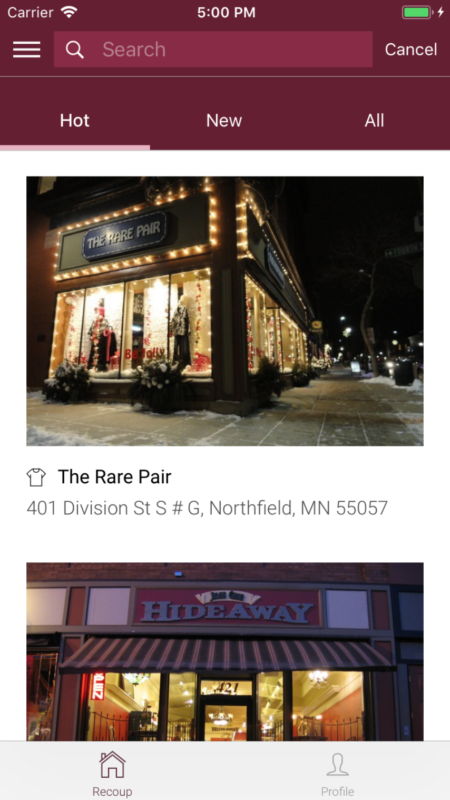 He told us that many folks predicted his demise with the explosion of fast food restaurants in Northfield during the 80s and 90s. First, they said that Kentucky Fried Chicken would do him in. Didn’t happen. Then they said that McDonald’s would sink him. Nope! Next, Hardee’s, Burger King and Wendy’s. He survived them all. Kentucky Fried Chicken even opened a second time in Northfield just a couple of years ago. That didn’t work out so well either. They closed less than 12 months into their run. Dale told us that his secret to success can be found in the following four words: “Good food. Good service.” Perhaps another reason is the dedicated service of his employees. We learned that Steve and Lorie Estrem have worked at the restaurant for more than 45 years! They started at the Quarterback Club before Dale did and they stayed with him after he became their employer. That’s an amazing commitment! The City of Northfield will begin the reconstruction of Division Street between 6th St and 8th St on Monday, April 30. Washington St. will be the marked detour route. 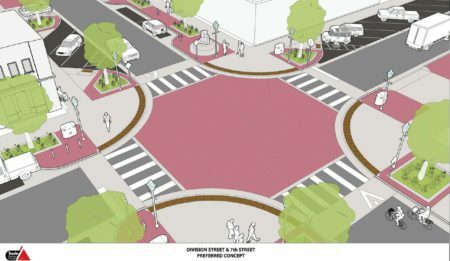 Read on for more details about the this summer’s entire downtown streets project. Bookmark the following link on the City’s website for complete information and updates . Crews expect to begin work on Stage 1 on Monday April 30, 2018. Work expected next week include the closure of Division Street to thru traffic from Sixth Street to Eighth Street first thing Monday morning. A detour will be posted around the closure utilizing Washington Street. Additional work included next week will be bituminous and concrete street removals, curb and gutter removals, and driveway removals. 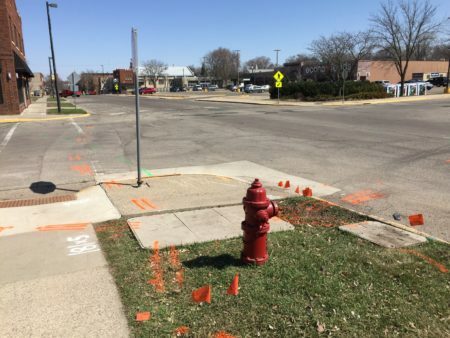 Crews expect to begin utility installations the week of May 7. Staff also held individual meetings with the affected property owners on Stage 2 late this week to discuss the proposed schedule submitted by the contractor, and the affect to each individual property. The contractor expects to begin work on Stage 2 sometime mid-July, when Stage 1 is complete. No work is scheduled on Stage 3 until late July. Staff will send letters requesting property owner meetings on Stage 3 once construction is closer to beginning.